When a school district adopts a resolution to collaborate with Jefferson County ESC, access to EZ-SLO occurs in a few simple steps! Districts will identify a Point-of-Contact (POC). District POC will be trained by JCESC Staff to upload Teachers and Administration to EZ-SLO system. Usernames and passwords will be generated for each staff member entered. District staff can begin working on the SLO! If your staff has documents started, they can simply cut & paste into the EZ-SLO program. Staff can log-in to work on SLO any time of day! Work can be saved and edited. Staff members can share links with peers to save time starting from scratch. JCESC will provide on-going technical support to District POC. Click to watch the following video for an introduction on EZ-SLO! "EZ-SLO - the computer application that manages SLO workflow for you. "With a district-generated username and password, you can log in from anywhere to access your account. "To start a new SLO, simply click on 'Create a new SLO.' Complete the fields to identify your SLO and begin entering data. If you have started an SLO in a Word document, you can easily cut and paste from the document to EZ-SLO. Once you are finished working, click 'Save SLO.' Your SLO can be accessed the next time you log in. "No more paper pushing! SLOs are easy with EZ-SLO." 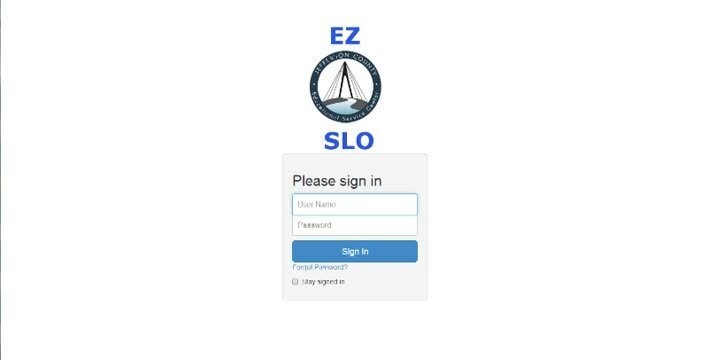 Click the following video to see the simple log-in steps of EZ-SLO! 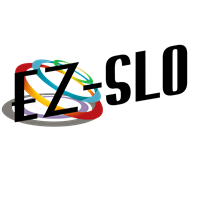 "To log on, go to the EZ-SLO website or click 'Log-In' from the JCESC web page. You will need to sign in with a username and password set up by your district or school EZ-SLO administrator. "Once you have your username and password, you will need to sign in on the EZ-SLO home page. Enter your username and password and click 'Sign In.' If you would like to remain signed in once you have signed in, you must click the box 'Stay Signed In.' If you forgot your password, click 'Forgot Password,' and it will ask you for your registered email address. The system will send you a new password to your valid email address. "Once signed in, you have the option to change your password and profile information by clicking on 'Settings' on the navigation bar. If you changed your password or made changes to your profile, you must click 'Update' to save your changes. "You are now ready to create your SLO on the EZ-SLO system."